Employment in the UK may be at its highest for almost a generation with companies experiencing skill shortages across many industries. At the same time, the potential cost of going to university for many students has acted as an incentive to find alternative ways to gain the skills and knowledge needed to get into many careers including construction, engineering and accounting. This is where the true value of an apprenticeship comes to the fore. The last couple of years have seen a rise in the amount of investment in apprenticeships from both governments and organisations alike. They are increasingly recognising that apprentices can be invaluable in helping organisations to better manage and develop their talent pipeline for the future. Develop new recruits to meet your needs: 82% of employers take on apprentices to build the skills capacity within their businesses. Flexibility for existing employees: Free up your existing workforce so they can do what they do best. As a major employer ourselves, we have and continue to recruit apprentices for roles across the business. For instance, last year, Harry Stacey joined us as an apprentice in the Sales department, Charlie Docherty took up an opportunity within the Payroll division alongside Jess Howard (Credit Administration) and Oliver Thomas (Partner Support). 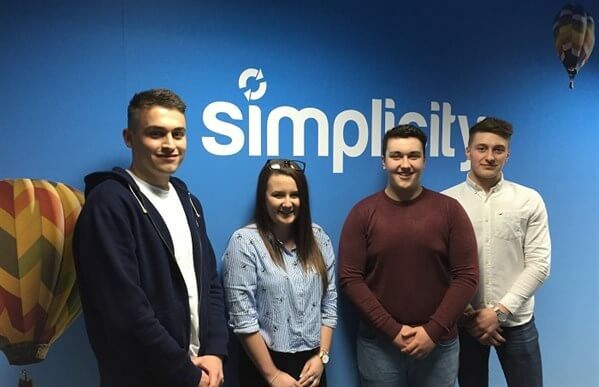 All four have successfully passed their apprenticeship to become permanent members of the Simplicity team. 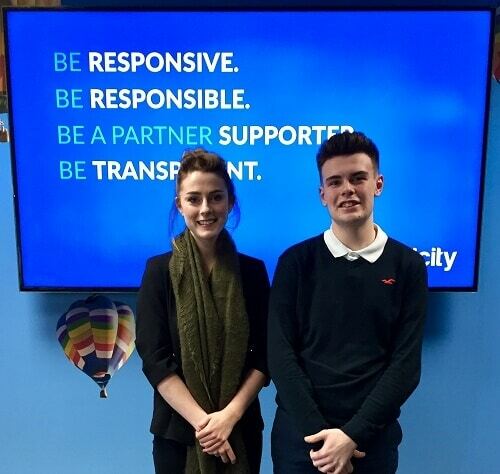 More recently, Kelsey Thomas has started her Marketing apprenticeship along with Jack Fortey, who is undertaking a Sales apprenticeship. We look forward to supporting their development over the coming months and years. From left to right: Charlie Docherty, Jess Howard, Oliver Thomas and Harry Stacey.